Water bills are the bane of most households. It would be worrisome for you to experience skyrocketing water bills each and every month. And who is the main culprit? You guessed it right, water leaks! Research has shown that you might be losing up to 20000 gallons of water every year from water leaks. Some leaks may be obvious such as taps and faucets leaks. Others, such as leaking underground piping may go for years without being detected. All along, you will be struggling under the heavy weight of exorbitant water bills. Do you need to find leaks within your home? Call in ADI leak detection services. The easiest way to identify whether you have got water leaks is through your water meter. House Meter Check For Leaks. Make sure that you close all water taps and appliances inside and outside your home. Equipment such as washing machines, dishwashers, and irrigation regulators should also be off. Record the meter reading. Leave the meter for close to 30 minutes. Ensure there is no water usage within the house. Water supply line leaks-Some water leaks occur between the meter and your home. They may be difficult to detect as some supply lines may lie up to 3 feet below the ground. For most, as a moist patch of ground appears as the water rises up. Consult your local water utility company first to establish if the responsibility for repairs will fall on you. If you are to repair it, call in professional leak detectors to identify the exact location for the leak. Faucet, showers, tubs and toilet leaks– These are the most common and easily identifiable leaks in most households. 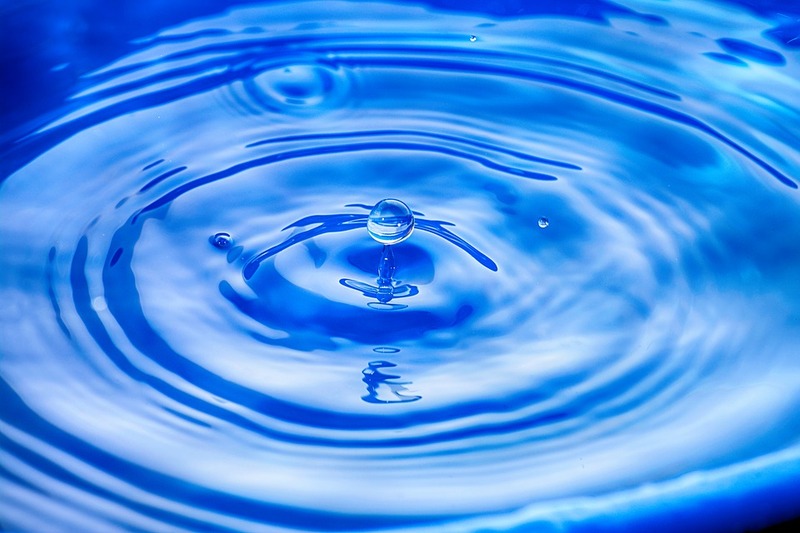 The continuous drop of water falling after every two seconds may add up over 1000 gallons every year. Are you doubtful? Place a container this evening under the leaking tap and observe how fast it gets filled up. House humidifier and evaporative cooler leaks– Most house humidifiers and evaporative coolers are directly connected to the main supply line. It provides a constant water supply for the equipment’s’ water reservoirs. It also includes an overflow line if the refiller valves do not close. If the valves occasionally fail to close, the overflow keeps on draining water into the sewer line. The water wastage may go on for years without detection. One Stop Solution to Your Rising Water Bill. Simply, consult a leak detection company. Professional leak detectors come in with modern equipment that is able to detect leaks hidden in your walls, floors and even external supply lines. 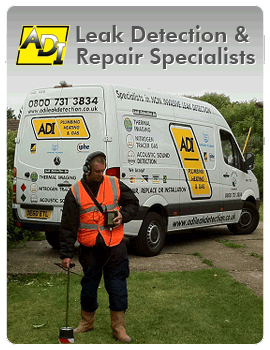 ADI is the best leak detection company in the UK. Thermal Imaging leak detection where we use digital thermal cameras to identify the source of the leaks. Leak Correlation where we use advanced sensors and software to identify and correlate the multiple leaks in your water piping. Call in today through 0333 200 5443 and get your customized free quote.